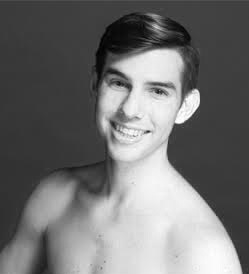 Tyler Rhoads is from Midland, TX, where he began his training with Susan Clark at Midland Festival Ballet. He later went on to train on full-scholarship at the Harid Conservatory in Boca Raton, FL, under Victoria Schneider, Olivier Pardina, and Svetlana Osiyeva. After graduating in 2011, he attended Indiana University’s Jacobs School of Music under acclaimed staff such as Violette Verdy and Michael Vernon. Upon his graduation from college, Tyler joined Colorado Ballet’s Studio Company and was promoted into the Company in 2016. Since joining the Colorado Ballet, he has performed in works including Swan Lake, The Nutcracker, Jiří Kylián’s Petite Mort, George Balanchine’s Serenade, Twyla Tharp’s Brief Fling, and Anthony Tudor’s Pillar of Fire.